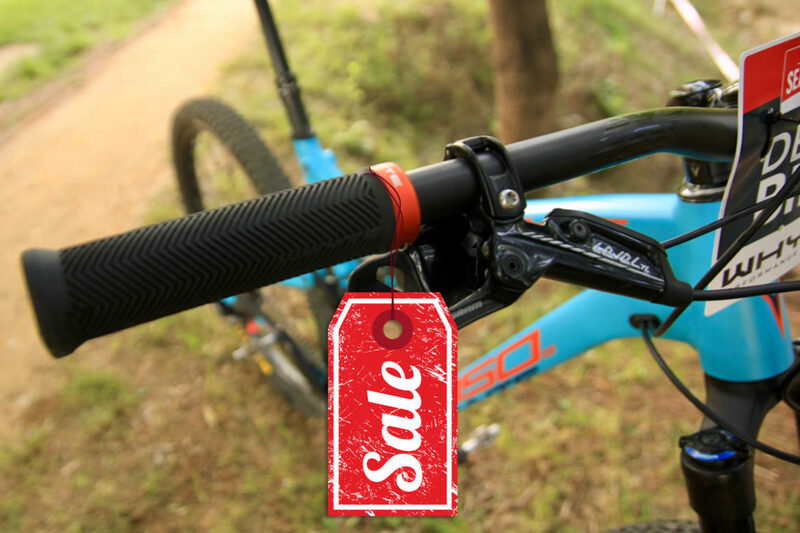 One of the things I quickly noticed when I started mountain biking was how expensive it can be, even AFTER purchasing a bike. I think this is especially shocking when you’ve already sunk every extra penny you have representing hundreds, if not thousands of dollars, into that first good, real bike. Then, you need to try to explain to your wife, husband, or significant other why you are not only going to be away from your family for several hours every week, but how you need even more money to do so. And for a hobby that can be dangerous. It’s not an easy sell. 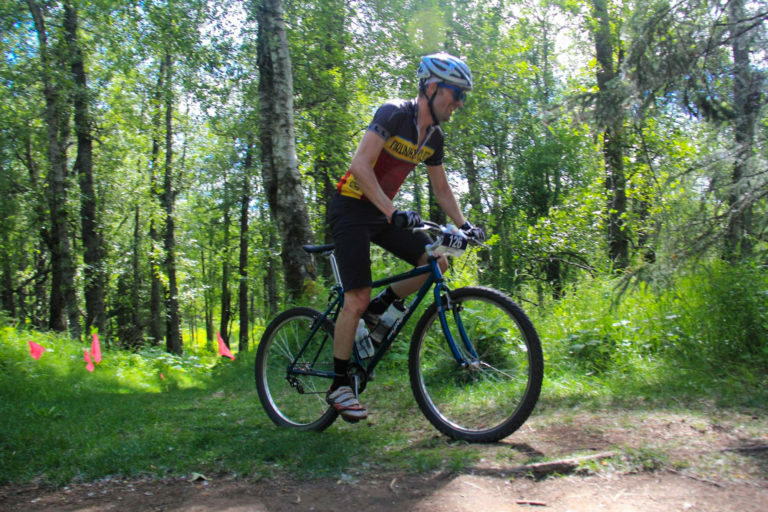 I started mountain biking 13 years ago, and got married just a year later. Over time I’ve learned some really valuable things about how to budget both money and time for biking. Well, at least I’ve learned enough to avoid divorce while still feeding my kids. Here are a few tips to ponder. Alex Cervenka completed a 24 hour race on this $115 bike he built. 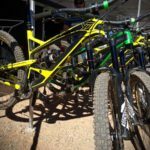 Singletracks, and others, offer great resources for finding safe, fun budget bikes to buy, whether it be a hardtail, full-suspension, or fat-tire ride. Good bike shops can help, too. Heck, you can even build your own bike. If you’ve chosen well, a first bike can meet your needs and last a very long time. A lot of the tools and clothes many of us already own work just fine. I’m going out on a limb here, but I bet you already have shorts, shirts, and shoes, right? Get a few essential bike-specific things like gloves, a helmet, a chamois, and multi-tool, then figure out what style of riding you like. Buy stuff as you go. With long-term use items like hydration packs, bike specific tools, bike racks, and a work stand, get the best you can afford. The good stuff works the best and lasts forever. Be wise and you’ll be surprised how far you can stretch your budget over time. 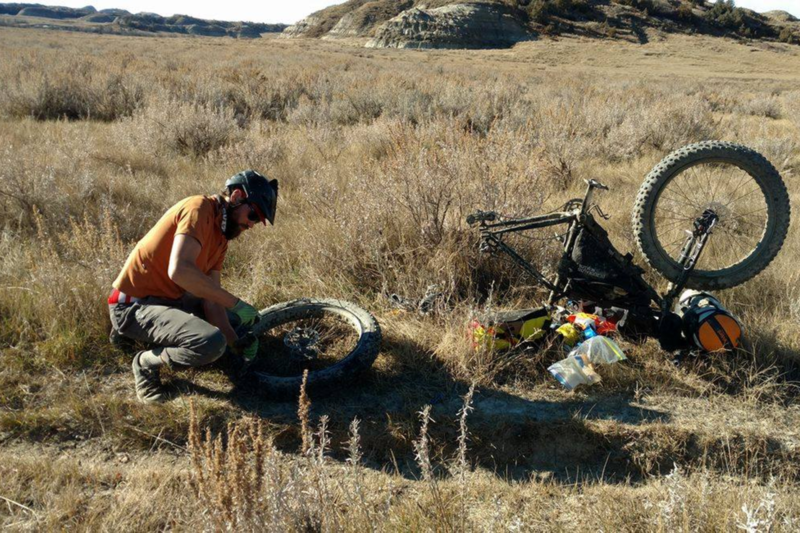 Basic repairs can save a lot of money, and it can be both fun and satisfying to solve tricky mechanical problems on the trail. 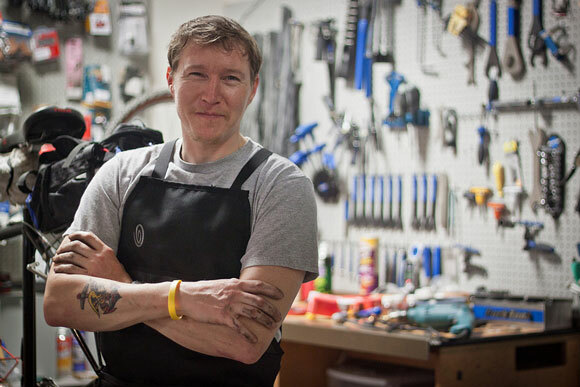 Get good bike books from the library, read magazines in the book store, read online tutorials, watch YouTube repair videos, and go to free clinics at your bike shop. Clean your chain. Measure your chain. Oil your chain. Save that drivetrain! Replace cables. Learn to adjust your gears. If you don’t have tubeless tires, patch some tubes. All of these things take time, but not much money. Personally, though I am not very mechanical, I was surprised by how easy it is to maintain a lot of things on my bike with a little study and effort. A chain checker, cleaning supplies, and lube are pretty cheap, but can keep the drivetrain working quite well for a long time. And, as any mechanic will tell you, it is typically much, much cheaper to replace a worn chain than a worn chain, cassette, AND a chainring. Develop a good relationship with your local bike shop. Their knowledge can save you a lot of money in the long run, even if they don’t make all your repairs. Not only that, your local bike shop can keep you safer. Free tuneups are great if your shop offers them with a new bike purchase. Ask lots of questions, and realize that some repairs are better left to the professionals. Parts are always cheaper online, but sometimes the shop will give you a discount on the service if you let them install a part bought at their store. Plus, their work is likely much better quality than yours (and faster). Purchasing gas to drive to the trail can eat up a lot of cash, so carpool with friends or bring your bike along on trips you’re already making like to work or on vacation. Some parks charge entry fees, so buy an annual pass if you plan to visit often. Even medical expenses related to biking can add up, and safe riding has the potential to save you hundreds or even thousands of dollars. A single emergency room visit cost me $3,000, and that was after insurance! Obviously I would have much rather spent that money on a bike. Give yourself plenty of time to rest and recover between rides, and maintain your bike regularly to prevent accidents. 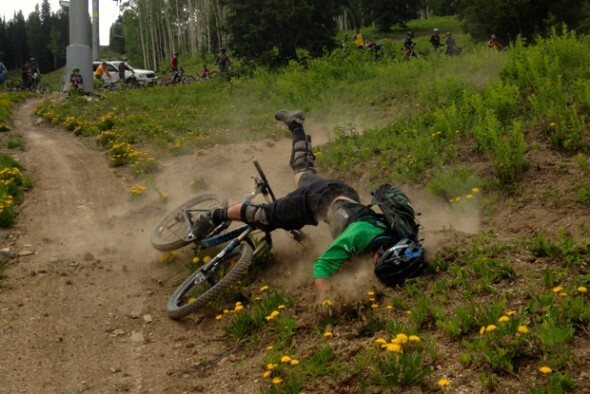 The flip side to potential medical expenses is that mountain biking can actually save riders money in the long run. 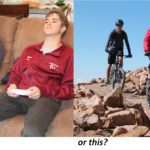 Most moderately active mountain bikers with decent eating habits are pretty healthy and avoid going to the doctor often. My guess is that on average, the health benefits of mountain biking and a proper diet far outweigh the risks inherent in riding. Plus, riding is certainly cheaper than therapy for your mental health and way more fun. Bike friends love to help each other. My friends give and sell me parts that they have laying around the garage, and I try to do the same. It’s fun to “recycle” parts so they don’t go to waste. Sometimes, internet deals on bike parts are too good to pass up. 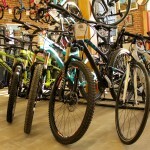 Yes, the local bike shop has a bottom line they need to meet, but riders do too. A great trick is to price-match or get free shipping online. Some retailers have $50 minimums for the free shipping, which you can more easily reach if you and a friend buy products together. Some internet companies can deliver to your house in just a day or two if they are in nearby locales. Oftentimes you don’t pay any taxes either. That said, I’ve learned that some internet retailers are certainly better than others. I rarely use eBay, Amazon, or Craigslist to get parts or bike-related items, and prefer bike-specific companies (such as Jenson USA) because they have great customer service, a solid return policy, and expert help, plus they are generally quick and easy. I ask for bike-specific things on my birthday or for Christmas. I don’t always get them, but it never hurts to ask. That’s how I got my bike stand. There are also lots of other strange ways to pick-up a few dollars here or there. My regular pay checks are often spent before I get them on bills and the kids, but if I find some extra income, my wife has no problem with it going toward mountain biking. For instance, two years in a row I won third place in my office NCAA basketball bracket challenge, and ended up buying some new wheels and brakes. Years later on a weeklong work trip, I used my per diem allowance to buy just one meal per day, and ate leftovers and cereal for all my other meals. I know, it sounds a little desperate, but I had more than enough to eat and bought some new bike clothes when I got home. 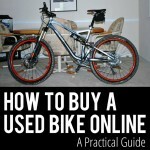 It’s not a lot, but even writing this article is going to help me buy something new for my bike. If there is a will, there is a way. Even on a modest mountain bike budget, we can all ride! The world's best freeriders converge for a week of riding the biggest mountain bike jumps ever built at Darkfest in South Africa.